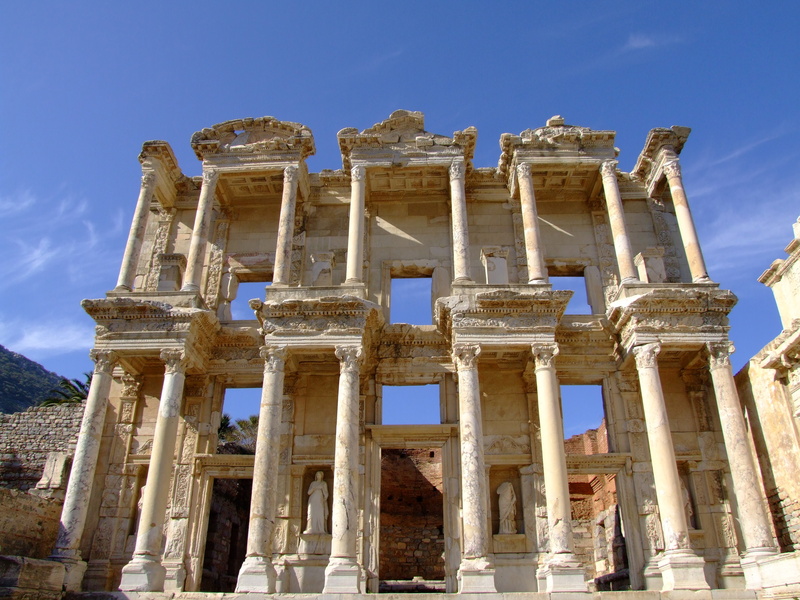 After breakfast, enjoy a memorable visit to Ephesus one of the world’s finest archaeological sites, where we visit the Arcadian Way, the splendid facade of the Library of Celsus and see the amphitheatre which is still used for concerts. 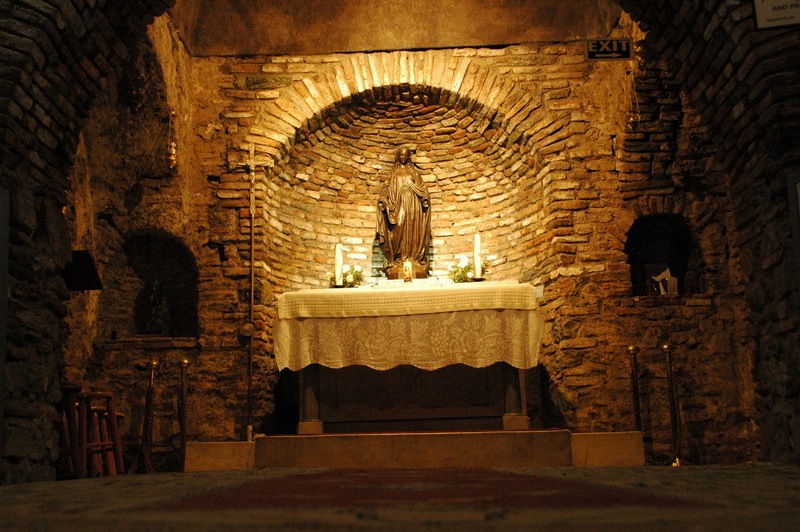 Later visit the Virgin Mary stone cottage. Proceed to visit Turkish leather showroom. Continue to view the remains of the Temple of Artemis, one of the Seven Wonders of the Ancient World. 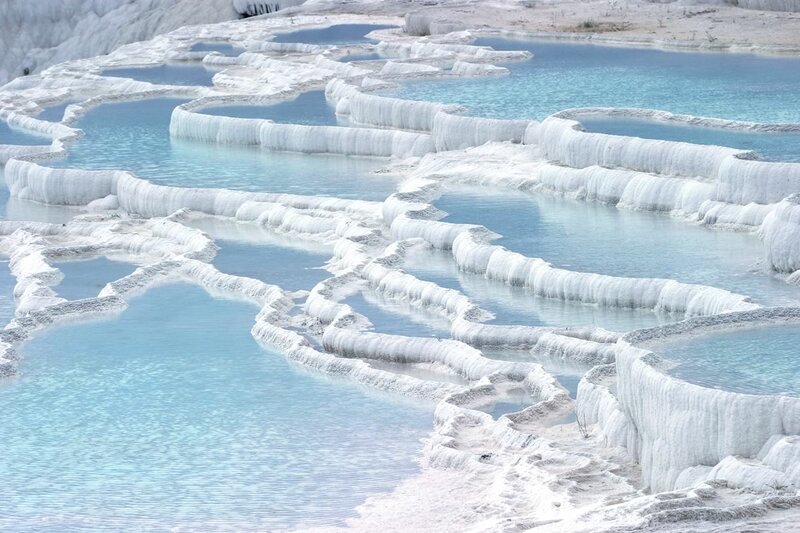 Travel to Pamukkale (Cotton Castle). 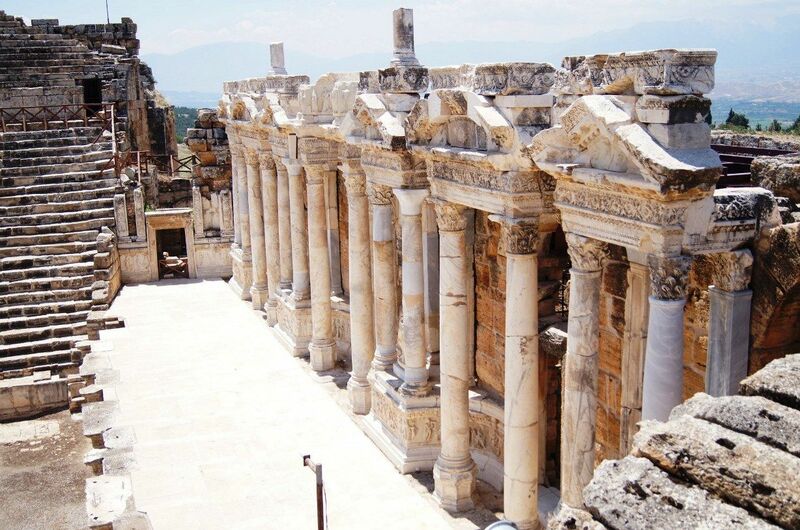 Proceed to tour the ruins of the ancient city of Hierapolis and explore Cotton Castle, a UNESCO World Heritage Site, made up of fascinating white terraces and pools created by calcareous hot spring waters flowing down the mountain.